Posted on Apr 2, 2015 by Appleton Downtown Inc. 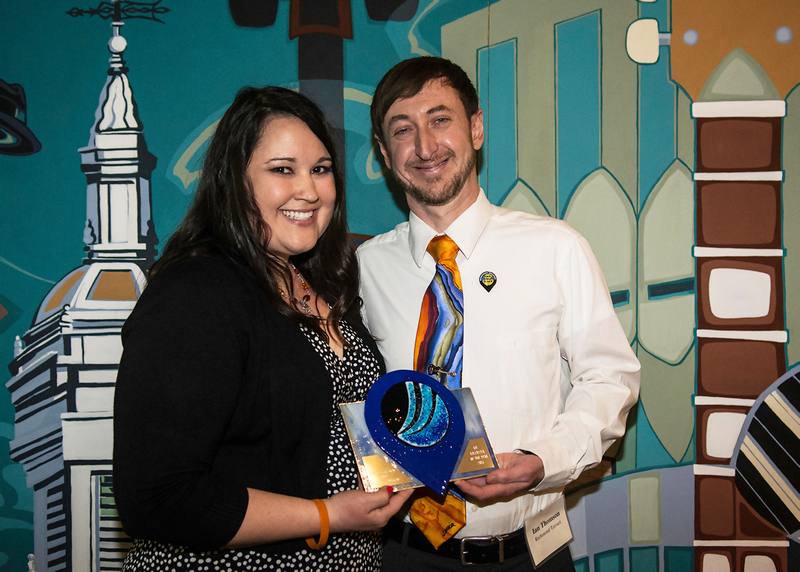 Presented to an individual whose time and commitment to the effort of building a strong downtown organization highlights him or her as an outstanding contributor and community advocate. Each year the ADI staff gets the opportunity to thank a volunteer for giving so freely of their time and talents. As a non-profit we are blessed with 100s of volunteers so selecting just one is not always that easy. So this year we get to honor two! This is a Downtown couple through and through. They live Downtown, they volunteer, shop, dine and play downtown - oh and one even works downtown! When the news came our way that this Downtowner nominated Downtown for an American Planning Association's Great Place public choice award we were thrilled! What happened next blew us away. Downtown Appleton received almost 8000 votes and we won the honor of the public choice Great Place award! If you attend the Thursday night concerts in the last four years you were sure to see this couple behind the bar helping each and every week. You also likely encountered them at Mile of Music working all weekend long. They continue to support Downtown and our creative placemaking initiatives and serve on ADI committees.